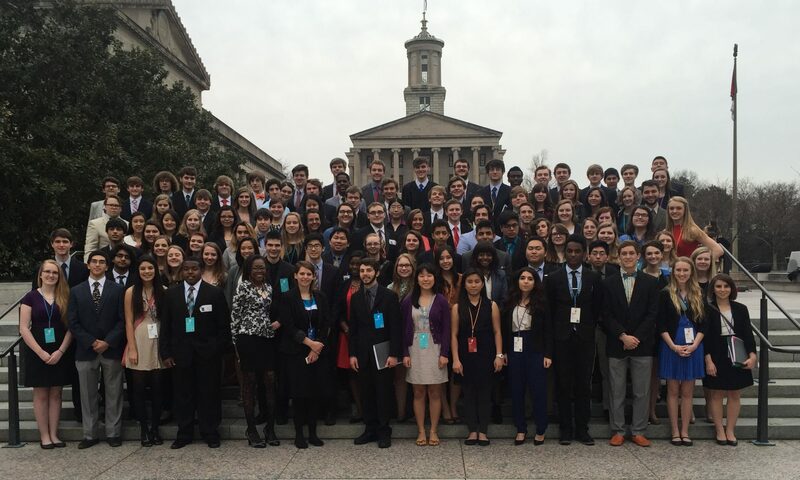 For questions about conference components, debate, bill writing, or research, please check out our MUN Resources Page! 1. Contact the advisor at your school to make sure you are able to attend. If your school doesn’t have an advisor, or you don’t know who your advisor is, you can contact our Associate Director, Elise Dugger (edugger@tennesseecce.org). 2. Register for the conference your school attends during the registration window. If you visit our middle or high school Model United Nations pages and click on your conference, you will find registration links. Cost per delegate differs by school. However, each delegate will pay a $175 delegate fee and a portion of the hotel fee, which normally totals to around $300. Delegates who drop after the final deadline are still responsible for their delegate fee and any hotel costs the school incurs. Deadlines are different for each conference. Please check the conference specific page on High School Model United Nations or Middle School Model United Nations. There will also be one night at the conference where more casual, Y-appropriate clothes are allowed. While the conference is planned by YMCA CCE Staff members, the conferences are run by a team of student-elected high school officers. They will preside over chambers, serve on the International Court of Justice, and lead components like the Secretariat, Security Council, or the Department of Public Information. The only thing you need money for will be your meals. You will need to purchase 5 meals in Murfreesboro, though we encourage delegates to bring granola bars, cereal, etc. to offset breakfast costs. Delegates who violate conference parliamentary procedure or the code of conduct may also be asked to contribute a small fine, normally a dollar. All of the proceeds raised via donations and fines contribute to our partnership with Plan Padrino in Colombia, which allows 50 students to attend school in Ibague, Colombia.